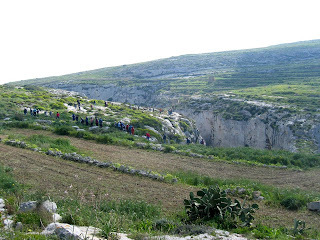 Today’s walk was led by the affable and ever-pleasant John Mizzi of Sannat, the stalwart defender of Ta’ Cenc. 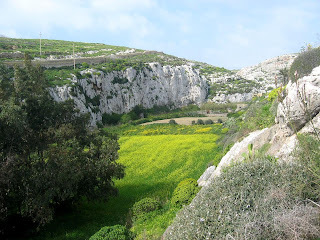 John took us to the verdant and magnificent valley of Mgarr ix-Xini, probably the most beautiful valley in the whole of Gozo. 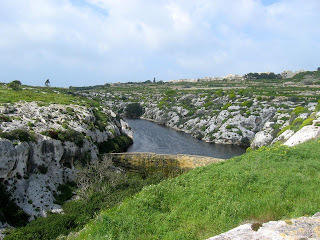 From our meeting place near the Gozo heliport, we walked down to the valley floor at the eastern side of the valley (closest to the sea), and then walked roughly up the valley floor, sometimes detouring along the sides where this was not possible. 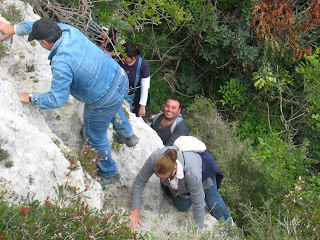 During the walk John Mizzi was always pointing out and explaining features in his inimitable and enthusiastic way. 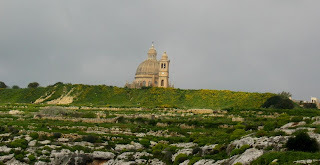 John Is highly recommended for anyone who wants to go on a guided walk in Gozo, with a selection of walks with several themes. 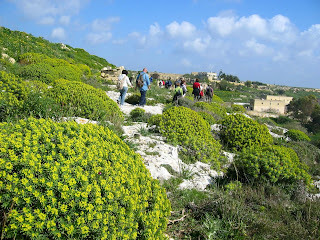 For further information, please visit http://www.gozo-excursions.com/. 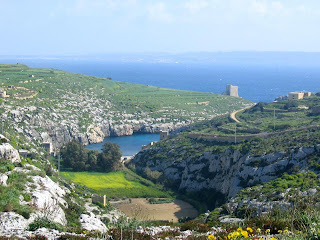 We are quite sure that you will not be disappointed. 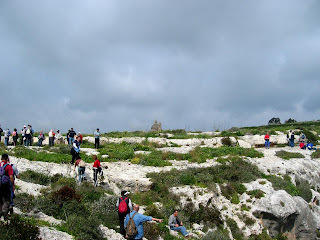 Site of one of the Angelik Caruana apparitions, very conveniently located near the Heliport. For those who are interested, the Madonna keeps her appointment with Angelik every Wednesday at 1745. John pointing out a feature. 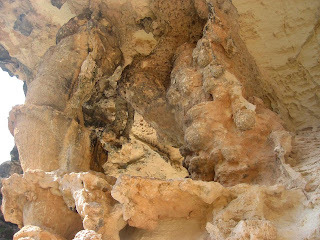 More of the enigmatic rock-cut pans. 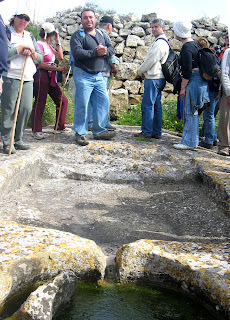 Wine-making or a place of sacrifice?